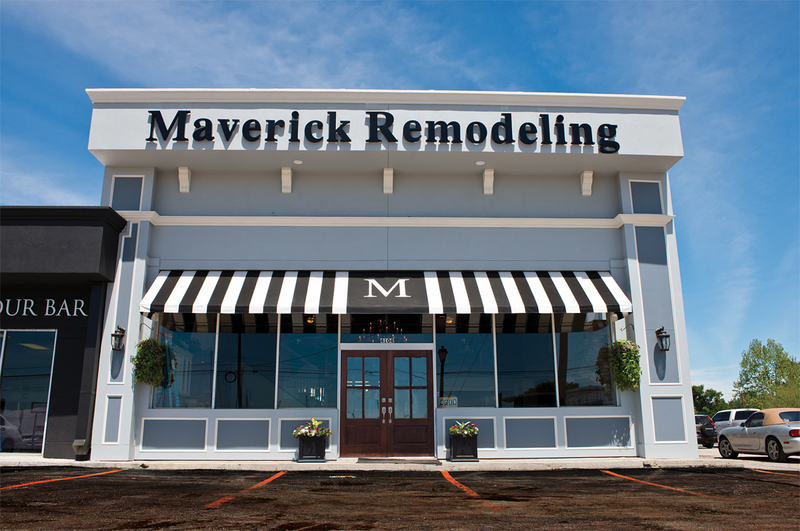 Award winning Maverick Remodeling has moved two doors down the sidewalk from its previous location to a newly expanded space at 4104 NASA Parkway in El Lago. The new showroom features many samples of the most beautiful options available for updating your kitchen, bathroom and any room in your home you would like to renovate, update and make more enjoyable. 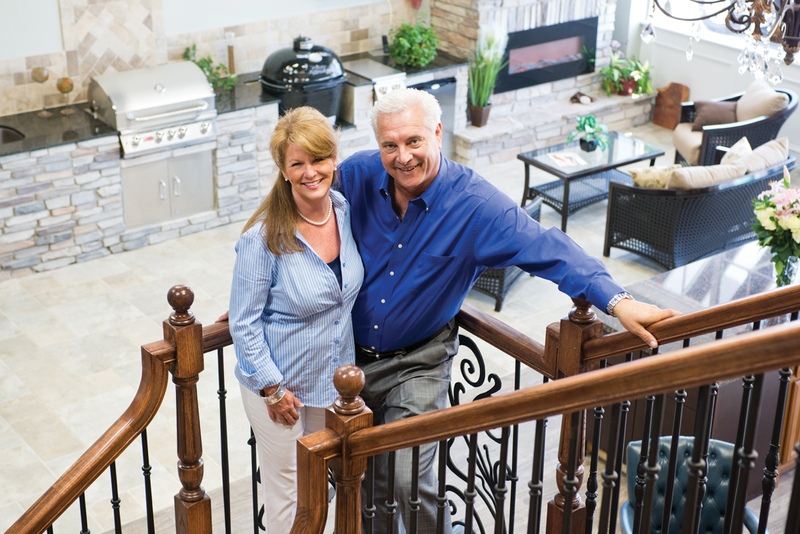 With the opening of the new showroom, the owners of Maverick Remodeling and Construction, BJ and Kaysie Stampley, have added a new concept to their remodeling expertise – outdoor kitchens and outdoor living spaces. 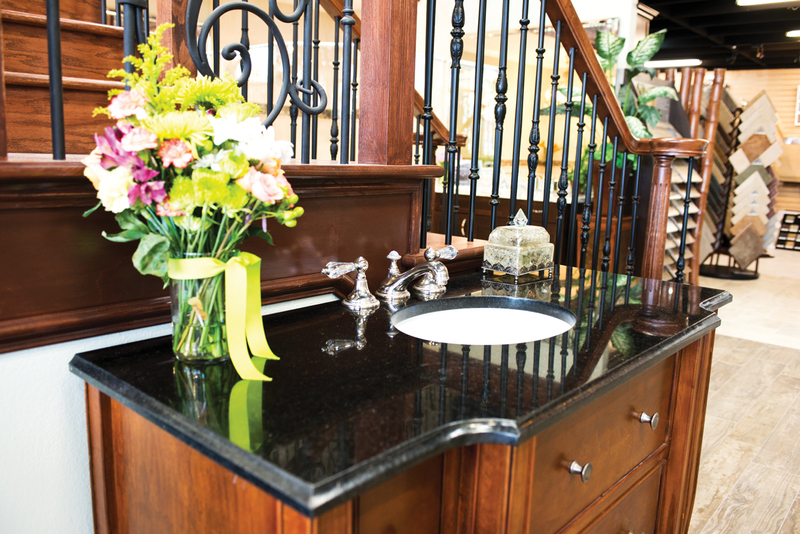 On display in the showroom are some of the options available for state-of-the-art outdoor kitchens. 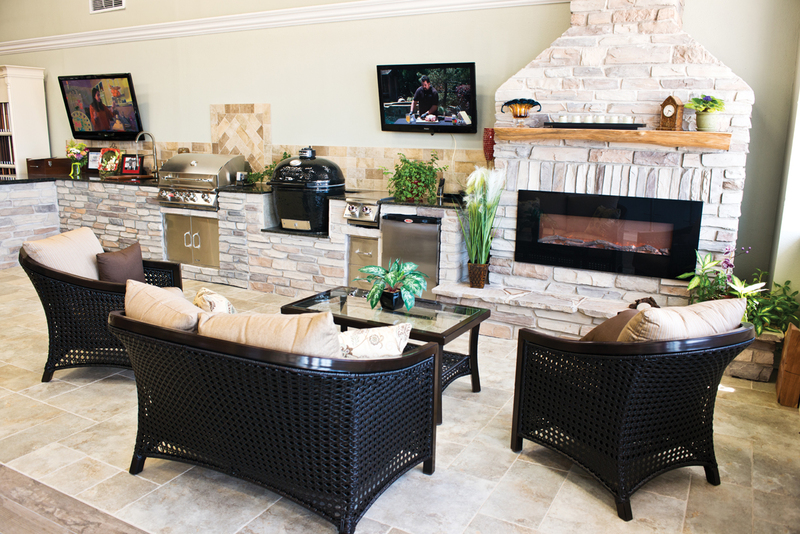 They carry Primo brand ceramic grills and smokers and Bull brand cookers and grill products. The possibilities are endless for your new outdoor sanctuary and entertaining venue with their custom outdoor kitchens, patios and decks. Maverick Remodeling is a full service general contractor company serving the greater Houston Bay Area. They specialize in residential home remodeling and improvements including kitchens, bathrooms, windows, patio covers, living spaces and additions. Let Maverick transform your home into a functional and timeless surround of style and comfort you will enjoy for years to come. The phrase “personal attention to every detail” can sometimes be an exaggeration but in the case of Maverick Remodeling it is the hallmark of everything they do. Just ask any of their previous clients about their satisfaction level. Testimonials are available on the Maverick website. Maverick can make your remodeling needs a reality. BJ says, “If you can imagine or dream it, we can build it. Our team loves making your home beautiful.” Whether your preference is “clean and classic” or “sleek and modern,” BJ and Kaysie can guide you through the process of transforming your house into an elegantly detailed living space. Maverick has been in business for 12 years and BJ’s experience in the industry goes back 25 years. They have been voted Best of the Bay twice and recently won a Best in Service Award from Houzz. So if you are looking for the best, Maverick Remodeling & Construction is exactly what you need for your next home remodeling project. Whether it’s exterior James Hardie Siding, hurricane impact windows, all aspects of interior design and construction for kitchens or bathrooms with cabinets by Waypoint Living Spaces and the new quartz products, samples of all these options are on display in the Maverick showroom. BJ and Kaysie invite everyone to come by and see their new showroom, Monday to Friday, 10 a.m. to 5 p.m., call them at 281-326-8800 or visit their website www.MaverickRemodeling.org. Good things to say about my experience with BJ and the entire Maverick experience……….uh NOTHING! B.J. (OWNER)has very poor attitude towards customer service. He does not like to be questioned concerning schedule, quality of workmanship, or issues with the various trades involved in the remodel. Expect call backs to get issues resolved. Office manager Jill may or may not return your call. Sometimes they don’t even answer the phone during normal business hours. Our patience was NOT rewarded. STAY AWAY. WOULD NOT RECOMMEND.